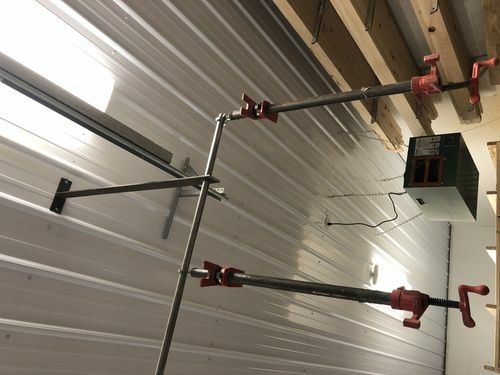 If you glue up a lot of panels and don’t have a lot of space(most of us), build a clamp rack that hangs the panels from the ceiling. For around 100$ you can glue up panels and actually still see your floor. Also work for doors.